An inherent tension exists in the history of psychoanalysis and its applications between the concepts of freedom and security. In Managed Lives, this tension is explored from the point of view of therapeutic experience. Set against the background of Freud's contested legacy, the book examines ways of managing oneself under psychiatric supervision, in the analytic encounter and in the emotional and moral contexts of everyday life. Together, the book's arguments provide a fresh and challenging perspective on post-Freudian uses of faith, the risks of critical rationality and the difficulties of living an ethical life under modern conditions. 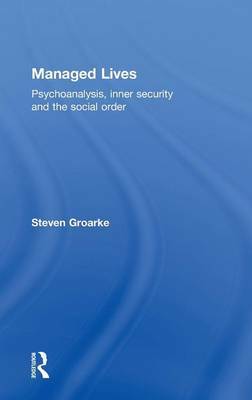 Managed Lives is ideal for academics and research students working on psychoanalytic studies, social theory and mental health studies as well as students and trainees taking courses in psychotherapy, counselling, social work and health and social care.